American library students visit Glasgow during UK tour…and I learn more about the transformational value of public libraries! Earlier this week a group of Library Science students from across America visited us at the University of Strathclyde as part of their study tour of the UK. It was brilliant to meet up with them and to discuss both the differences and similarities between libraries in the UK and USA. It was also a privilege to hear first hand from some of the students about the long term impact that Hurricane Katrina has had on communities and individuals across the Gulf Coast. This has proven invaluable in terms of my own research into the social value of public libraries as I’m planning to investigate the role that public libraries play in the rebuilding and transforming of communities following natural disasters. face the challenge of the next epic catastrophe” (Katrina Research Centre, 2008). I’m so pleased that I found out about this project at an early stage in my own research. I’ll be sure to check the website regularly for research findings, photos and news in order to help build my depth of knowledge of the social and transformational value of public libraries in the face of adversity and tragedy. Out of disaster comes hope and inspiration and I feel that there is much to be learned from the people of the Gulf Coast and their formidable library services. Last Friday night Dolly played two sold out gigs in Glasgow and I was lucky enough to be there on the Friday night. The show, as you’d expect was brilliant and full of all of t he lovely clichés we’ve come to expect from her. One thing I did NOT expect however, was for her to start chatting about how much she valued libraries and the important role that they’ve played in her life. 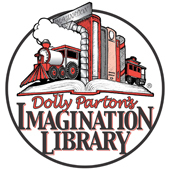 Inspired by the potential and power of public libraries to change lives for the better she launched the first Dolly Parton Imagination Library in 1996, in her hometown of Sevierville, Tennessee; supplying registered children with a free book every month, for the first five years of their lives. It’s hoped that by receiving these books children will be able to start school with improved literacy, a hunger for knowledge and an appreciation of different cultures. 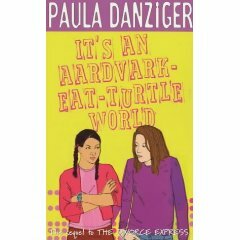 The project is a big hit in the USA and just last year the first UK Imagination Library was established in Rotherham, South Yorkshire. Check it out here.